We decided in June to undertake Lynsey and Gavin's engagement shoot in Malahide Castle which is located just north of Dublin city. Thankfully the weather was great, warm and a tad windy but comfortable all the same. 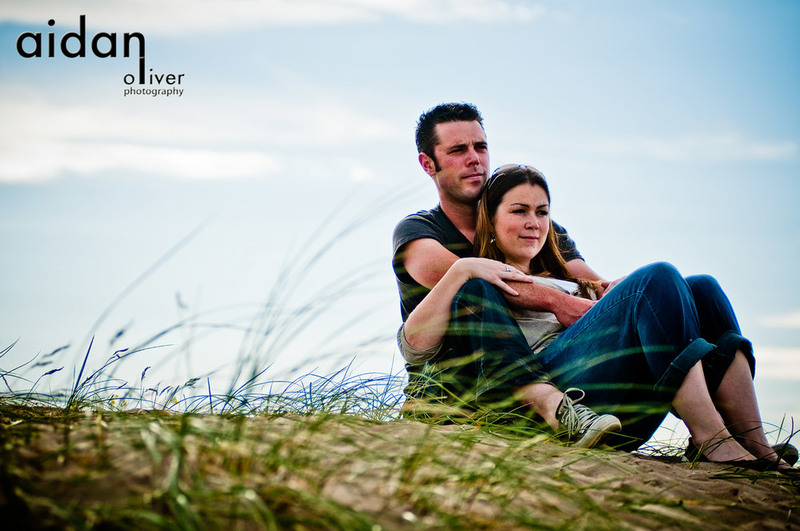 Malahide castle provides a great backdrop for photos when it is not too busy but as this was a Sunday..... well, you know what to expect with crowds and distractions so after a brief spell we decided to move to the beach and capture some lifestyle photos there. Malahide strand was fab to shoot on, plenty of interest from the red/yellow lifeguard hut to the rusting beach separating poles stretching out into the sea. My aim as always on an engagement shoot is to get the couple to relax in front of the camera well before their wedding (which is is in August this year), and also to give them some lifestyle photos that they can use for their wedding invites, etc. I try to change what is expected in a shoot and work with each couple to get relaxed non posed photos, shots they would like on their wall and which depicts how they really are. We all had a bit of fun and the photos really captured both Lynsey and Gavin as naturally as possible. A month to go until their wedding and I am really looking forward to shooting this particular wedding. 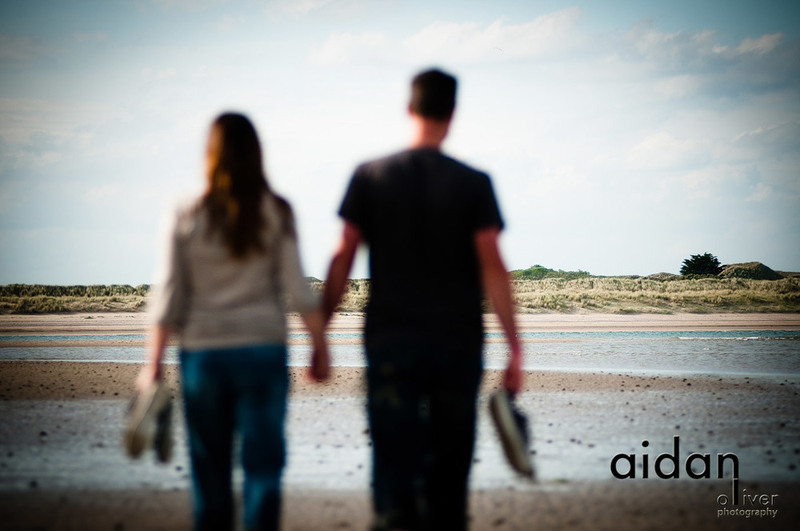 If you would like to discuss an engagement shoot or wedding photography please call Aidan on 087 2861544 or mail me on aidanoliverphoto@gmail.com.